Most classrooms, lecture theatres and laboratories are accessible by students with special educational needs. Click to access the HKUST Path Advisor for more information about the locations of the teaching venue. Eligible students can liaise with professors and tutors for lecture notes and/or powerpoints in appropriate format. There is also equipment in the Library to enlarge documents or convert documents in hardcopy to accessible format. Eligible students can request for the use of technological aids during classes, such as, audio-taping, FM system, magnifier, etc. 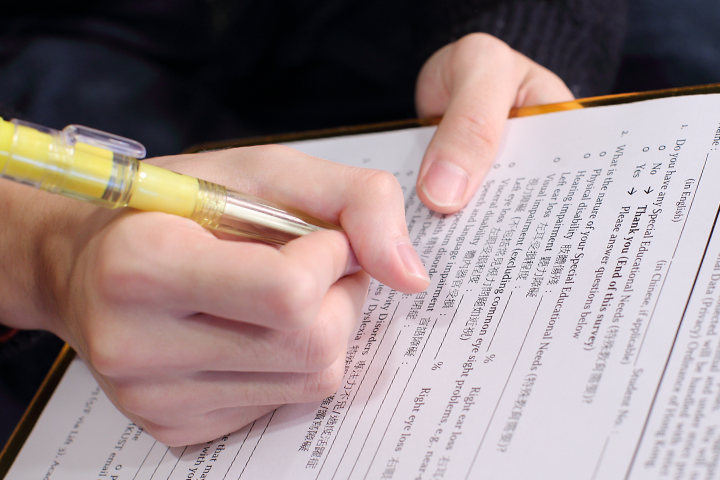 Volunteer note-takers are available to assist eligible students upon request. 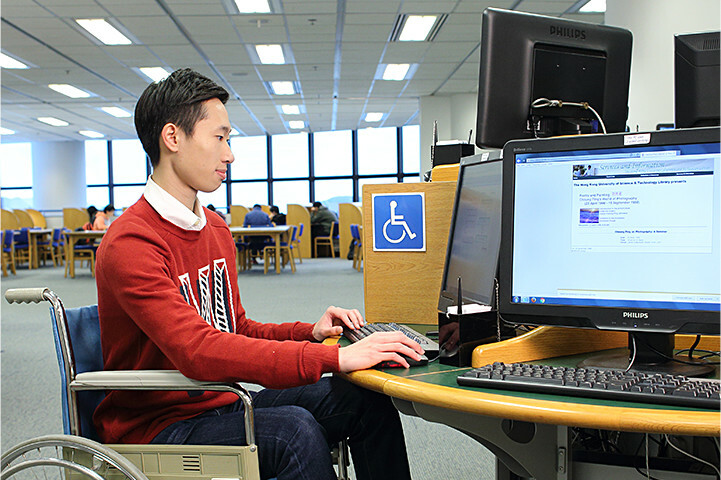 In order to provide equal access to services and collections to all users, the Library endeavors to assist users with special needs to locate information, retrieve materials, access services and use library facilities. Prior registration for these services is required. 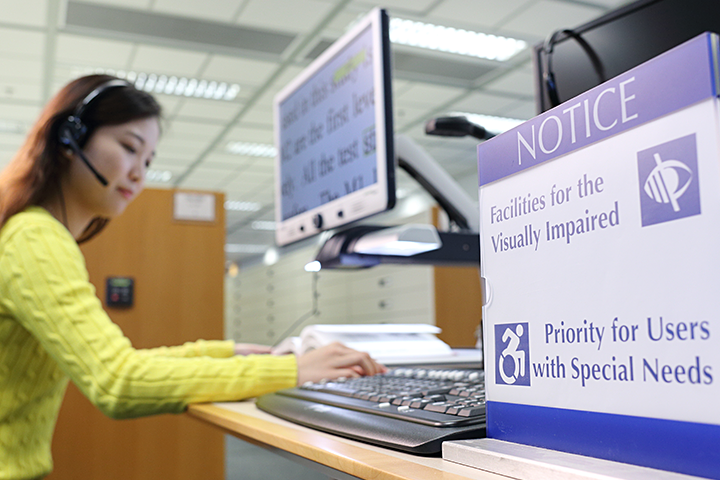 Click for more details about the accessibility services provided by the Library. Located outside LT-E, equipped with a PC and a printer with a scanner for individual use. Click for more details about the Student Computing and Printing Facilities by Information Technology Services Center. Learning Commons (LC) is an active place for learning. It provides an environment for intellectual exchanges, a center for accessing academic resources and services, a hub of technology that supports learning tasks. Click for more details about the facilities in the Learning Commons.